This simulator calculates the amount of drug to add to the water when using a flow dispenser. To calculate the stock solution, input your data into the corresponding boxes, as they turn yellow. 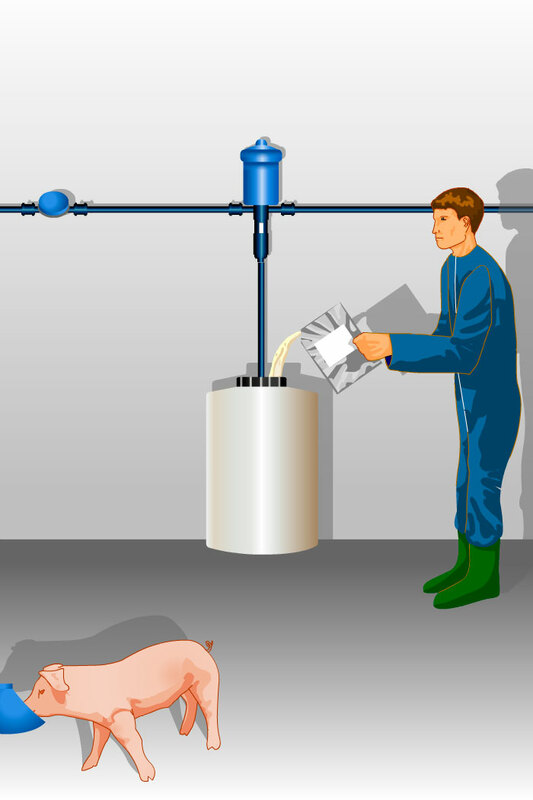 If you do not know the amount of water consumed, the simulator will provide an approximation based on the number of animals, weight, temperature and amount of water wasted. In any case, with the amount of the stock solution consumed on the first day of medication, we will be able to calculate the real water consumption.